We do a lot of photography here, and we have an appreciation for those in the right spot at the right time. Sure, we have professional photography friends that make it look simple, their photos appear to be ‘in the right place’ but are actually well planned to get the effect. 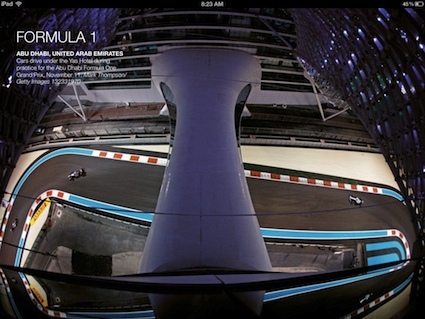 Getty Images has put together a rather extensive iPad eBook which they are providing for you to enjoy for at no charge. 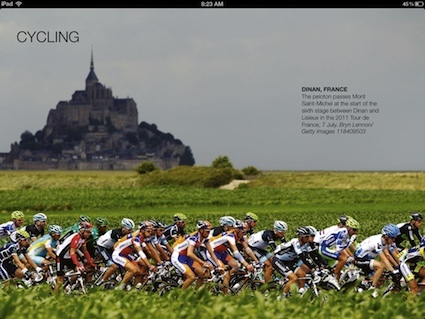 The eBook, Year in Focus, is more than a collection of photos from 2011. 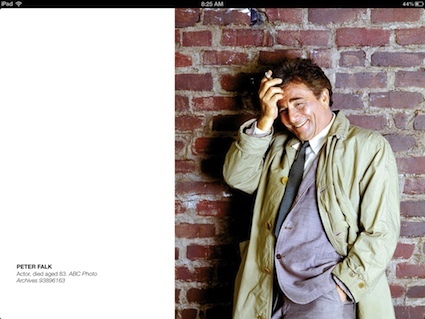 The eBook covers many subjects: politics, sports, international, etc… even pages of photos of folks we lost in 2011. 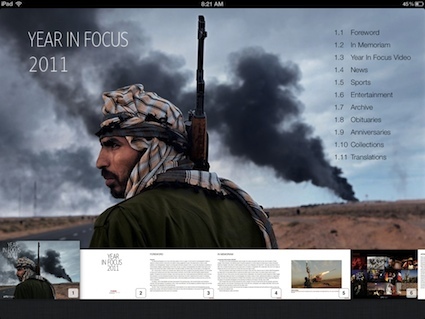 You may want to check your iPad’s available memory before downloading Year in Focus as the eBook is almost 450 megs! All those quality images take room. Who says coffee table books have to only be printed, maybe we will leave our older iPad sitting out for people to use on the gathering areas like they would a stack of photo books. While many remember that we lost Steve Jobs in 2011 (yes, he is included in the ebook), there are many other familiar faces we grew up with that we will remember through photos and what they left behind. A team member here was at this game! 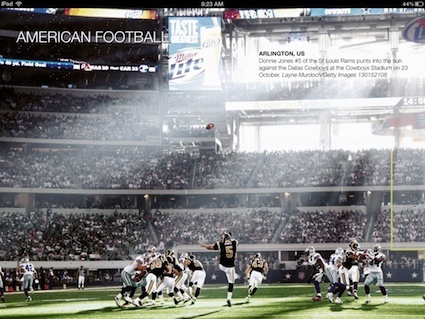 Fun to go through the images and see how they bring back memories and ‘where was I when that happened‘ moments. While we called the eBook a ‘2011’ Year in Focus, the book actually covers many years. There are movie stars, artists and people you lived next door to from many years ago included. 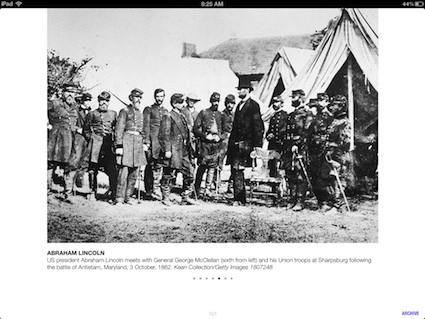 Below is from a group of Civil War photographs, rather than sweeping through pages, this page has multiple images to swipe through before moving to the next page.